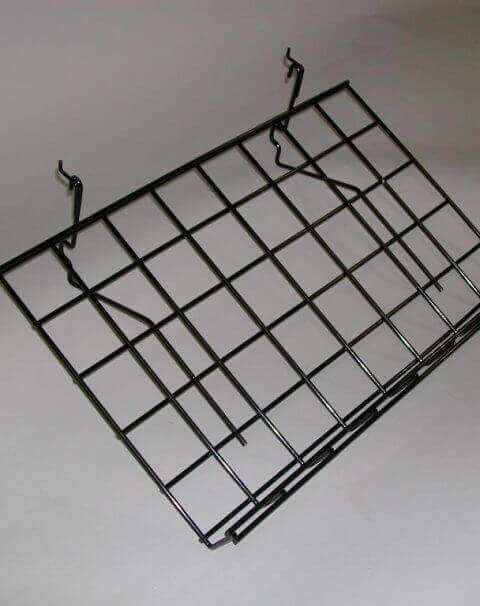 Angled wire slatwall shelf is 15″ deep, 24″ long. 5 shelves per box. White, Black and Chrome finishes available. 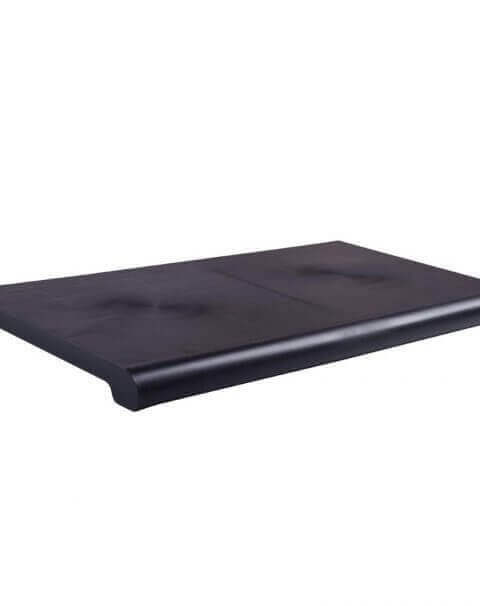 Duron injection molded bullnose slatwall shelves available in solid and wood grain colors. Minimum 3 boxes per order for wood grain. 4 shelves per box. For use with any 12″ bracket. 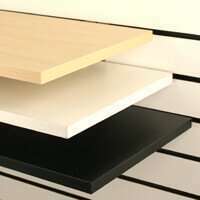 Melamine slatwall shelves are made of 3/4″ melamine with edge banding on all 4 sides. 12″ x 24″ or 12″ x 48″ sizes available. White, black or maple finish. 4 shelves per box. 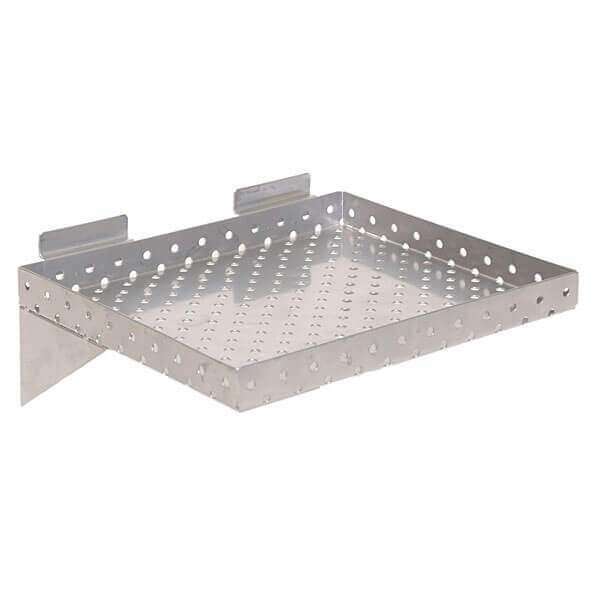 Perforated Metal Shelf for Slatwall. Choose between our small 12″w x 10″d x 1″h or large 24″w x 10″d x 1″h shelf. Black and chrome finishes available. 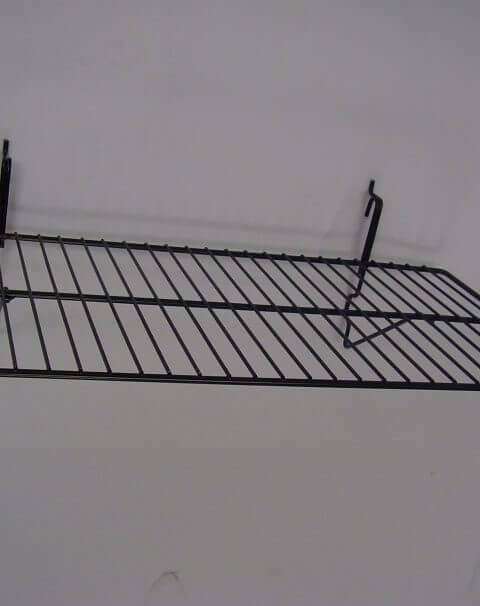 Wire slatwall shelf is 12″ wide x 24″ long. 6 shelves per box. White or black powder coat finish available. 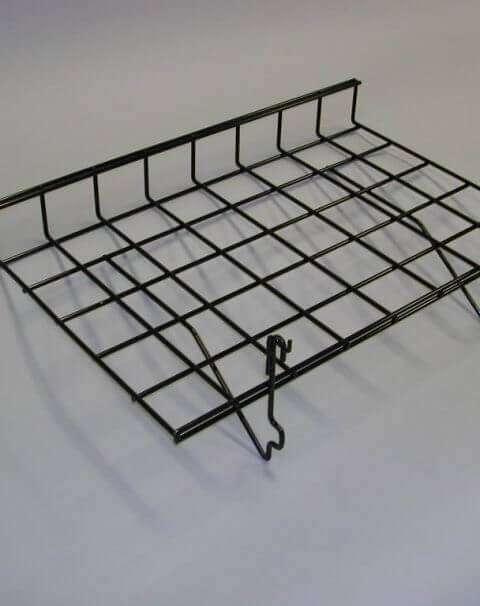 Wire slatwall shelf is 15″ deep x 24″ long with a 3″ lip. 5 shelves per box. White, black or chrome finish available.